Web Mingo IT Solutions Pvt. 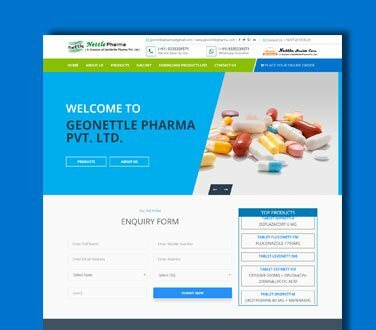 Ltd. is one of India's leading diversified Information Technology Services, Consulting and Business Solutions provider offering a wide range of Website Designing & Development Services alongwith Search Engine Optimization (SEO), Digital Marketing, E-Commerce, ERP & CRM Development spanning across all industry segments. Stunning and well-furnised design to meet business needs. Enterprise Resources Planing is use for your business software. 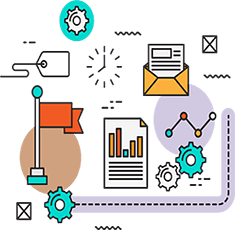 Automate, plan, collaborate & execute business requirements. Creative driven brand identities for your business. 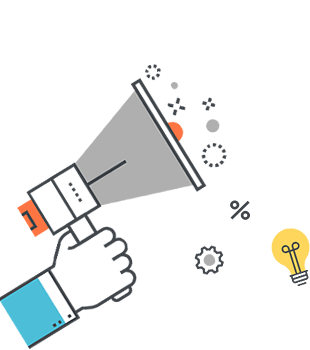 From idea to design, development and marketing, we achieve results for our clients and grow your business. Our innovative, eye-catching, and fully customized logo and identity designs speak your brand’s voice, increase credibility, and enhance your overall corporate image substantially. Let us translate your thoughts into creative, high-quality, and versatile graphic designs to create a strong visual impact, reposition your brand, and help you stand out from your competition. 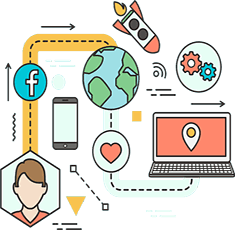 With our tailor-made, mobile-friendly, and aesthetically pleasing websites, you can easily create a compelling and effective online presence while converting visitors into customers. 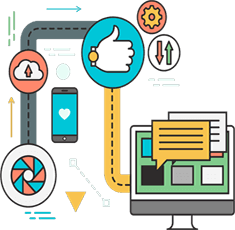 We build dynamic websites with simple, clean, and device-independent user interfaces to ensure optimal browsing experience, wider outreach, and greater business value. Get data-driven, highly functional, and cross-platform web applications built from scratch to ensure seamless integration, uninterrupted workflow, and maximum user-friendliness. Make the most of today’s go-to web programming language i.e. 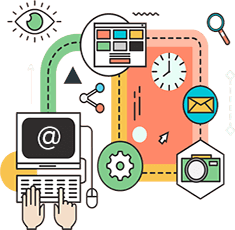 PHP with our goal-oriented solutions that help achieve scalability, robustness, and maximum performance. Get a FREE Proposal on how we can help with your next project. 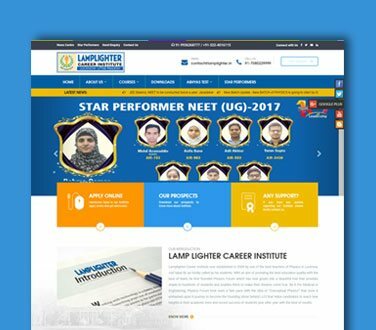 Lamplighter Career Institute was established in 2009 by one of the best teachers of Physics in Lucknow. 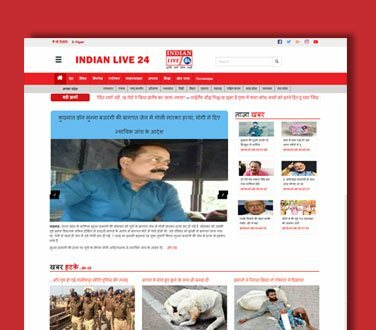 Its channels IndianLive24 India (Hindi) and India’s first ever website IndianLive24 Prime. 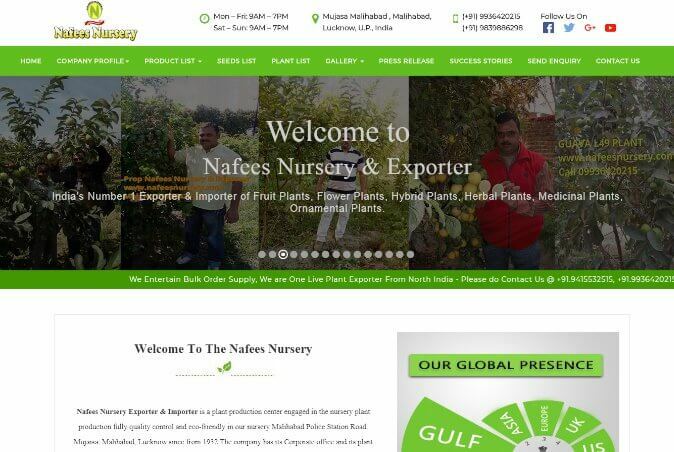 Nafees Nursery Exporter & Importer is a plant production center engaged in the nursery plant production fully quality. 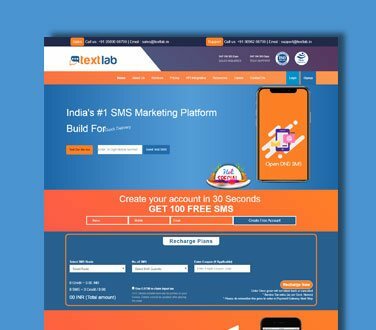 Textlab’s launch in India marks its first such expansion into international markets. Robust technology platform and strong operator relationships. 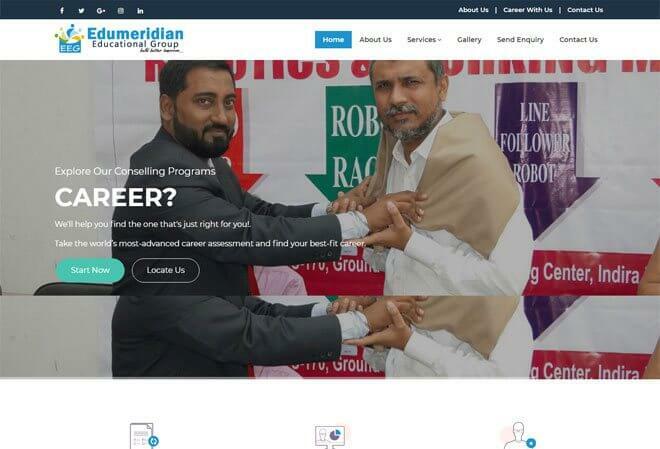 Edumeridian Group is a multifaced conglomerate of various organizations with diversified interests in educational, developmental and real estate areas. 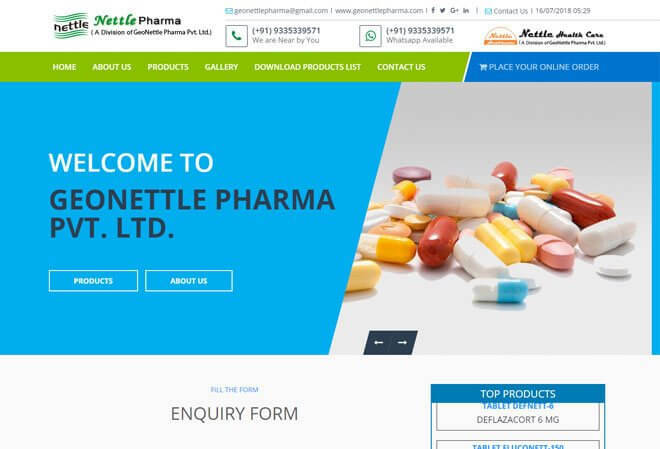 GEONETTLE PHARMA is promises good health for all by providing best quality medicine at affordable prices. 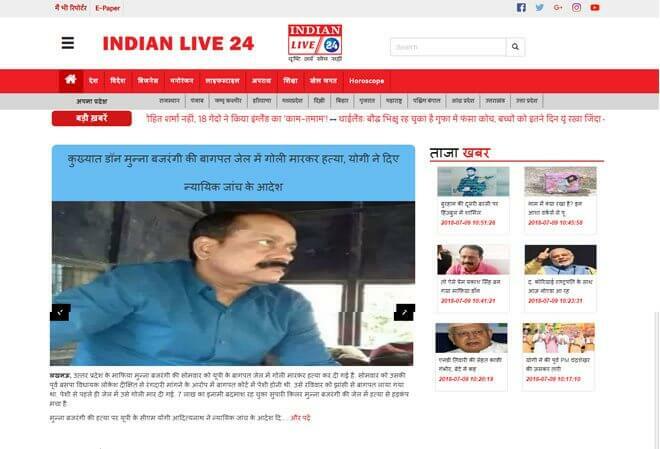 Sandhya halchal live news services make it easier to stream your media to almost any player, device or platform. 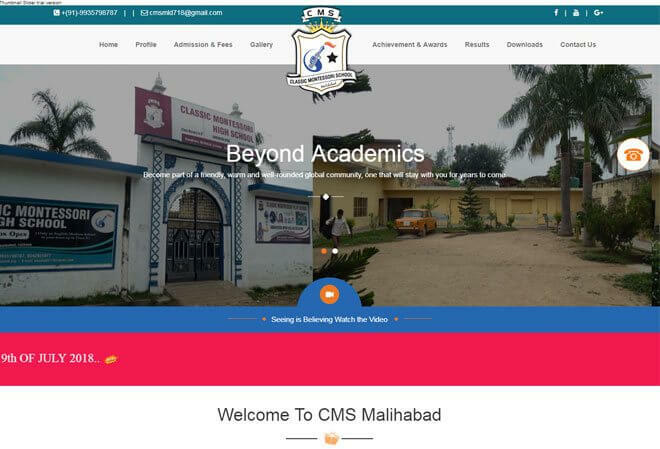 Classic Montessori High School, part of The Josh Malihabadi Educational Society, is amongst the largest and most dynamic comprehensive schools. 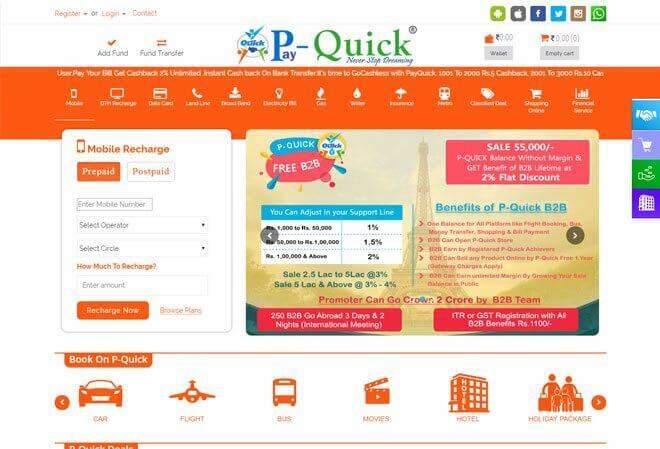 P-Quick is one stop Solution for all your Recharge and Bill Payment needs. Apart from this services. 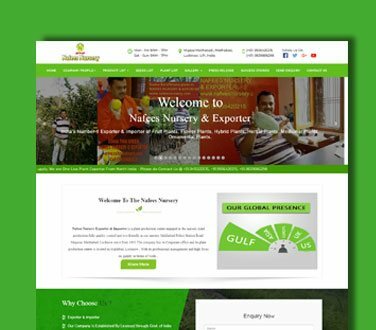 Nafees Nursery Exporter & Importer is a plant production center engaged in the nursery plant production fully quality control. Edumeridian Group is a multifaced conglomerate of various organizations with diversified interests in educational. 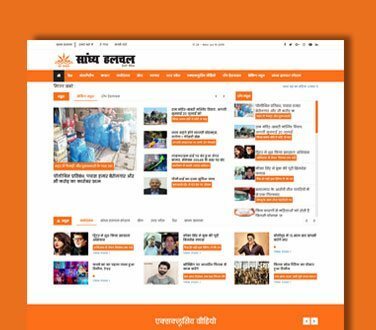 Its channels Sandhya Halchal (Hindi) Prime (Business and Infotainment) continue to raise the standards of journalism with innovative programming and uncompromising integrity. 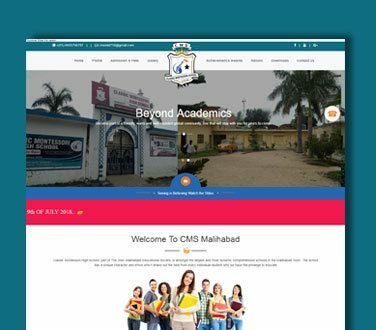 Classic Montessori High School, part of The Josh Malihabadi Educational Society, is amongst the largest and most dynamic comprehensive schools in the Malihabad Town. 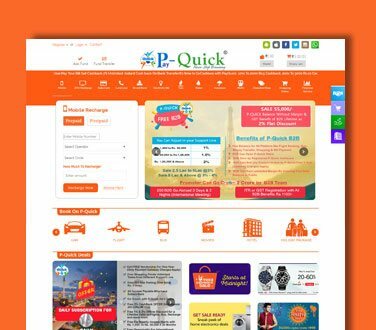 P-Quick is one stop solution for all your shopping needs having India's as well as International Brands at one store. Ours is company providing full spectrum of custom services. 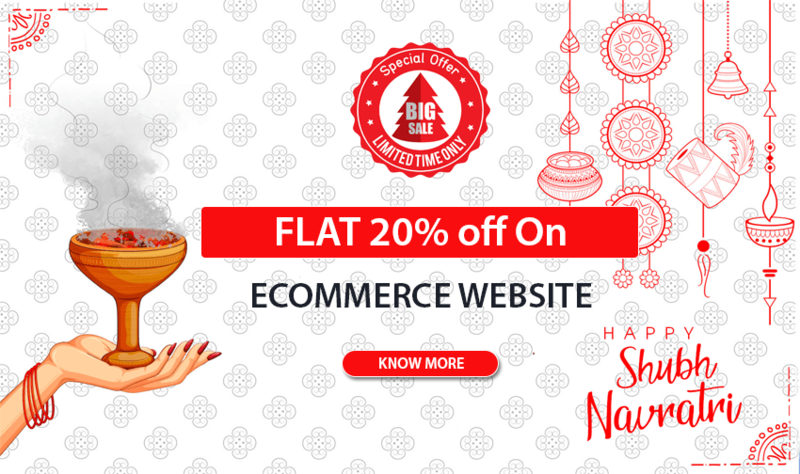 Be it mobile app, web app, e-commerce solutions or digital promotions, you have it all. 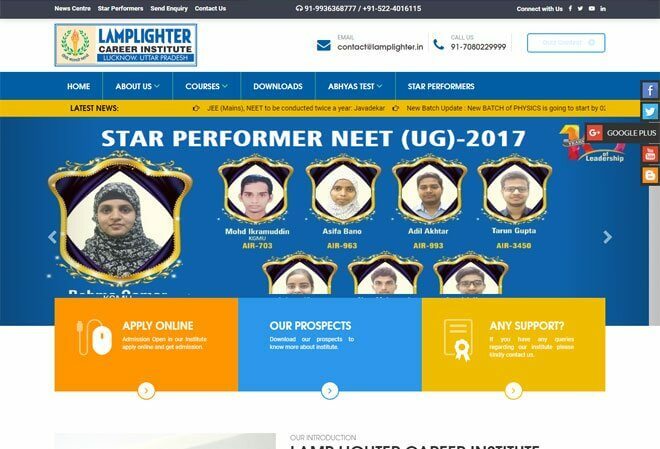 Great impressions for our website, they work hard and we achieved our goal, thank you entire team for making our project as web presence. I have recommended their services to a number of other people and if you are looking for a quality sport website then i recommend Webmingo! 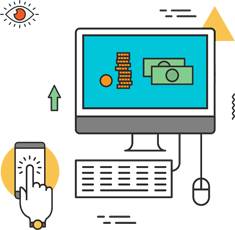 We love the online sales results, we see higher sales revenue per order through the website, and the advantage of having all products visible for the client. This firm was very active and quick in responding to our want and completed the project Lamplighter as requested. Highly recommended to everyone, Great job guys!! Webmingo and his team provide Great Quality work, they are a pleasure to deal with, fast, good communication, available at all times. The Webmingo team managed to comprehend and successfully implement all of our custom design requirements and complicated operations. 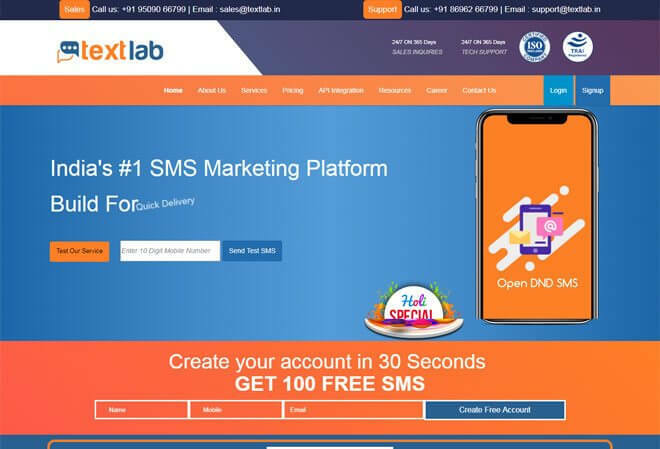 Digital marketers at Web Mingo implement for clients holistically devised ad meticulously planned, prospect targeted and ROI centric email marketing campaigns. 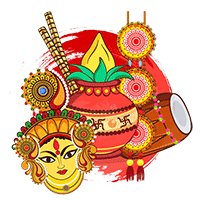 Excellent job done by entire team of Web Mingo, really satisifed with the amazing design & development from Web Mingo.